The G.H. 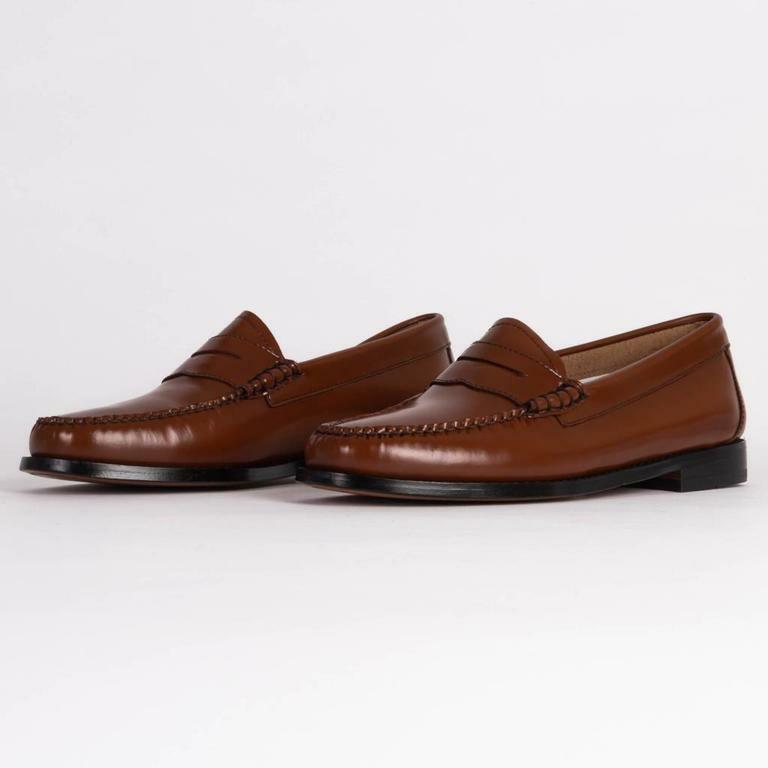 Bass & Co.'s Weejuns Penny Loafers Cognac has a slip on design with a polished leather sole. The unlined loafers features hand-stitched seams and a leather heel sock. The G.H. 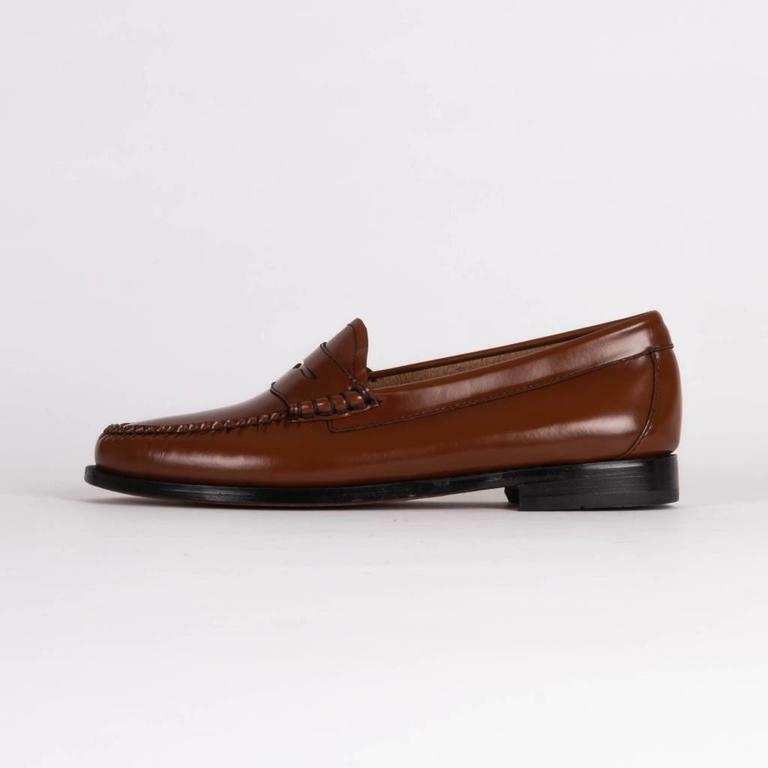 Bass & Co.'s Weejuns Penny Loafers Cognac has a slip on design with a polished leather sole. The unlined loafers features hand-stitched seams and a leather heel sock with gold foil branding. This classic never dates or never grows old.